El-Khayyat Red Bricks Factory is one of the biggest and most historically-relevant manufacturers of bricks in Saudi Arabia. The Company has steadily grown since it was established in 1975 by Arch. Ahmed Taha Khayyat: at that time the brickworks had an area of 100,000 m2 and employed 40 people, while now it covers an area of over 2 million m2. The company boasts one of the most technologically advanced production sites in the Country and implements highly sustainable production methods. We had a meeting with Eng. Taha Khayyat, general manager of the ceramics division and a member of the Board of Directors of the El-Khayyat Group, which is currently planning the entrance in the ceramic tile production sector. on each product we deliver. T. Khayyat: We take quality in our companies to a different level. Where quality is assured not only in the product, hence also in the process of manufacturing. Not only in selling, but tailoring our after selling services to meet the demands of the land mark project builders, committing to delight each and every client in the services we provide them, serving our clients through 400 distribution points in the Middle East. We always proudly say we have found for our products a place in thousands of the houses and the skykraper. Taha Khayyat: El-Khayyat production has grown due to the vision of the founder Arch. 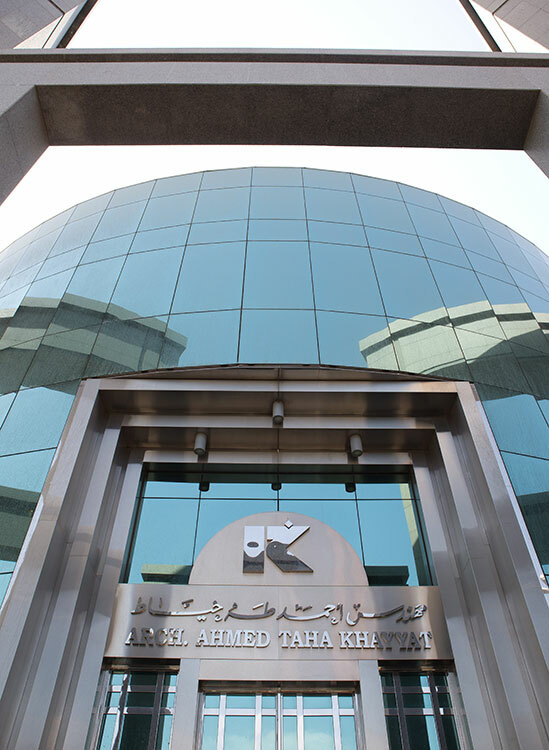 Ahmed Khayyat investing in the sector, seeking growth and stability of the facilities and the company. However the vision of the founder was also to diversify in different sector. Thanks God, today we are also the pioneers of the gypsum industry. We also manufacture cement, such as OPC SRC PPC. We also do manufacture plastic strapping bands that are mainly used for strapping our products. We are also present in the real estate sector, owning some of the land mark buildings in Saudi and Switzerland. BWR: El-Khayyat is about to begin manufacturing tiles. Could you describe your company’s new strategy? Taha Khayyat: This strategy is part of a wider project for product diversification that was developed by our company’s founder. Our new production of tiles will support and integrate our current range of building materials. The production site, that will be designed and built by Sacmi, will manufacture several sizes of floor and wall tiles, decorated using digital technology. BWR: We know well that El-Khayyat is an environmentally conscious company. What are the company’s most significant steps in this direction? Taha Khayyat: We carry on our shoulders the responsibility of our environment, since any impact on the environment is a direct impact to our industries. From our side we strive to have the greenest manufacturing processes; an example is our gypsum factory which has the best dedusting plant in any gypsum factory in the world. BWR: Is the production of tiles solely meant to satisfy internal market demand? Taha Khayyat: The current consumption of tiles in Saudi Arabia (also experiencing significant growth) will lead us to satisfy this internal demand although there are solid bases to plan future export activity.